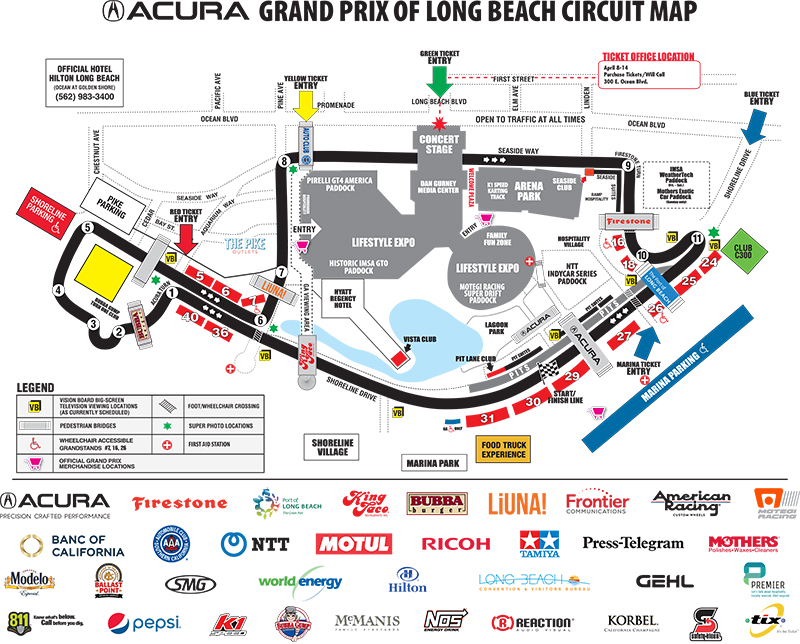 Located on the south side of Shoreline Drive behind Grandstands 24, 25, 26, 27, 29, 30 & 31. Entry off Ocean Blvd. and Alamitos. Sold on a 3-day basis. Located west of the race circuit at the end of the 710 freeway. Entry off 710 freeway at Broadway. Right on Magnolia St., right on Ocean Blvd., left on Golden Shore Ave. Located near Grandstands 5, 6, 7, 36 & 40. Sold on a 3-day or single-day basis. 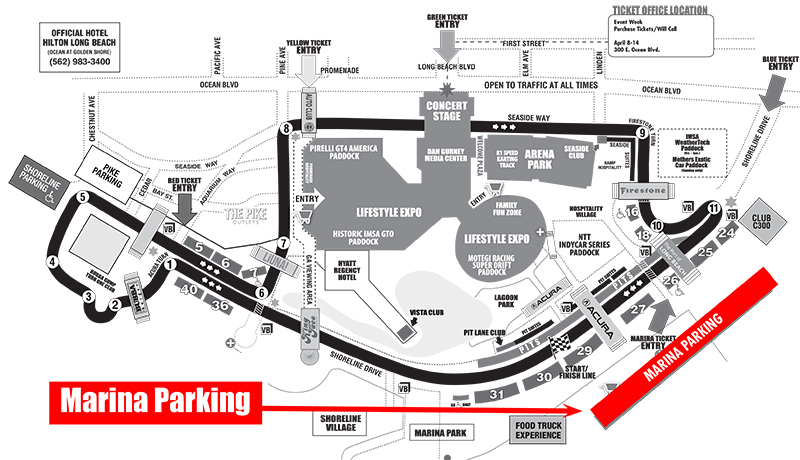 Parking can be reserved through the Acura Grand Prix Ticket office and is pre-paid. “RESERVED PARKING” lots require a special parking pass, and the number of parking spaces are limited. All Reserved Parking is available on a first come, first serve basis. 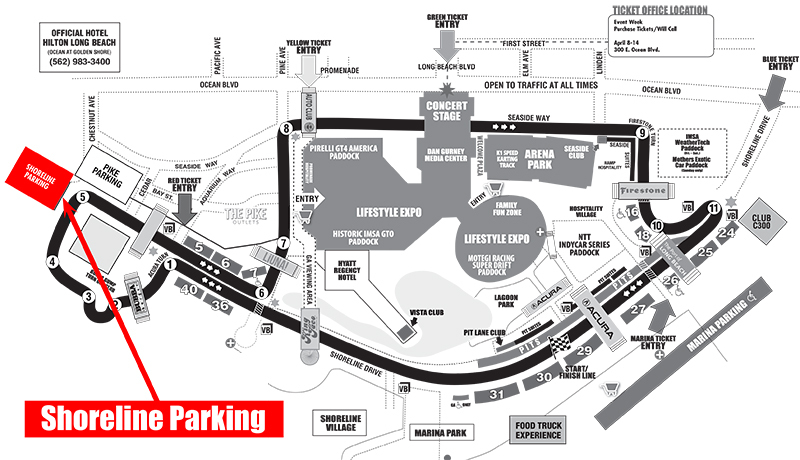 Reserved parking lots open at 7:00 a.m. and close at posted times daily. No overnight camping is allowed. If hang-tags are not properly displayed on rear-view mirror or vehicles are improperly parked they WILL BE TOWED AWAY! Vehicles are subject to being towed at owner’s expense. 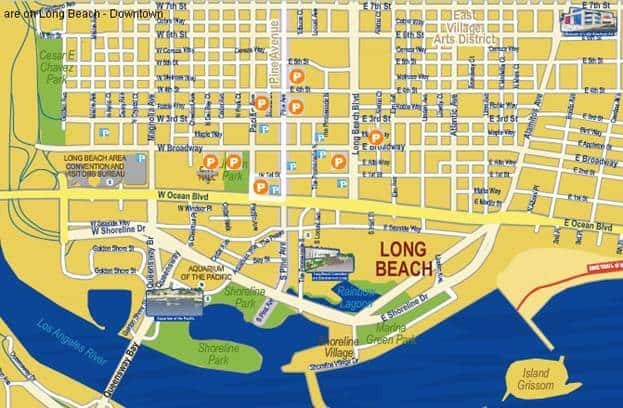 Downtown Long Beach Parking Information – Click on map to reserve parking in City-owned lots. Orange = City owned and operated parking. $14-$22 all day parking, depending on location. Blue = Private owned lots; prices will vary.